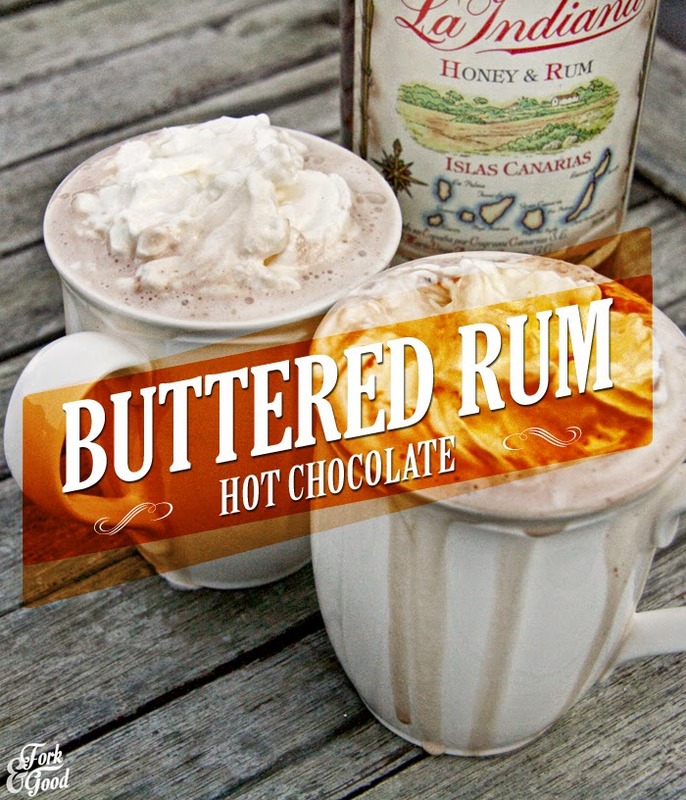 Buttered Rum Hot Chocolates - Fork and Good. Disclaimer: Tower sent me their soup maker to review, but my words, thoughts, recipes and soul are my own. I was not paid to write this review. I did make hot chocolates with it instead of soup though. Which I think proves my point. Did I even have a point? Does anyone even read this? Boobies. I live in a world where my husband only has to cough a few times and he has a six pack but I seem to attract weight just by being in close proximity to naughty foods. Like a magnet dropped into a bag of paperclips. So this is a nice treat, and a messy one. When I normally make hot chocolates it involves a blender, a saucepan, a bowl, a whisk, spoons, measuring jugs and of course, the mugs. Let's see if this soup maker is up to the challenge of taking on about 80% of that work. I'm currently living at my parents while we have work done on the house, this means I have their kitchen (which doesn't have much natural light) which means I got very cross because all the pictures taken inside needed a lot of editing. So please stay with me on the difference in quality. So before we get down to the recipe - here's my thoughts on this handy bit of kit. It has four parts. The lid, the removable blades, the jug and the base. You simply put the jug on the base, pop in the blades, attach the lid and away you go. You pop the contents in, set the timer for how long you want it to cook, and when it's done - you use the blend function to well, blend it. To work, the lid needs to be properly clicked in (brilliant for clumsy folk such as myself) and it has a function which turns off the heat if the contents inside the jug reaches too far past the max line. (A handy feature which stopped my milk spilling out the spout). The main downside I found, is that the jug slots into the connectors via a little piece of rubber and there is a real knack to removing it from the base. A knack I only discovered after pulling on the jug quite hard and whacking myself on the jaw when it finally released. So basically, I punched myself in the face with it. It hurt. I wasn't the only one who struggled with that. Also, as the jug contains electrics, it can't be submerged in water or put in the dishwasher, making it a bit of a pain to clean. You also can't choose a heat setting, which if a recipe called for low heat, could be a problem, but for soup making, hot chocolate making and sauce making, it's the right temperature, nothing burnt or went overly mushy. 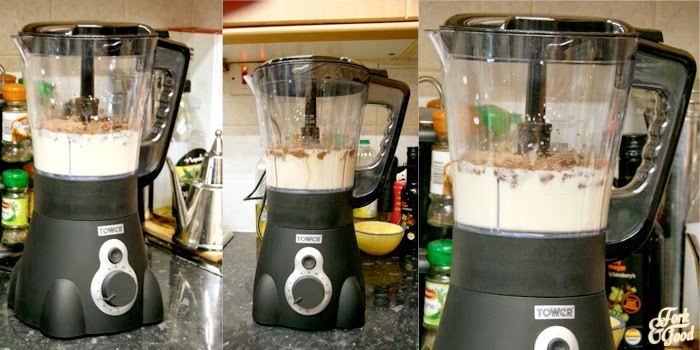 It can be used as a stand alone blender. Also, I have made hot chocolates, soups and sauces with it. It also says you can use it to make baby food, which I didn't try as I don't have a baby. Duh. It takes away so much hassle in the soup making process. I can't be the only one that uses about 20 different things to make soup normally, My hand blender ruined my last stock pot, so I have to decant the boiling contents into another bowl to blend. This results in lots of burns. 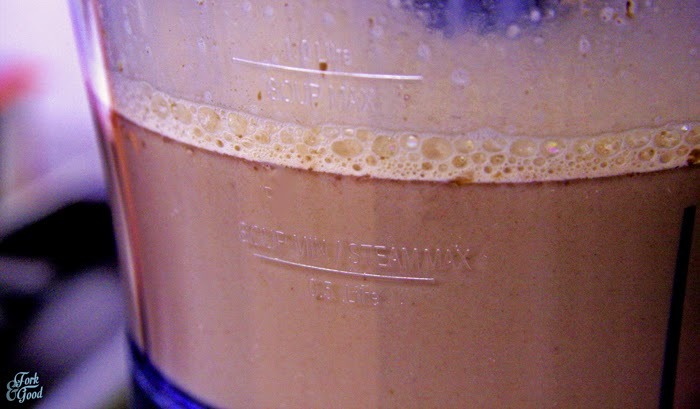 With this, everything is in the one place - I put in the veggies, I let it cook, I blend it. I pour in into my bowl. Is it worth parting with your hard earned cash? I am going to say yes, if you have the same issues as me. There are a lot of soup makers out there, but this is one of the more reasonably priced ones. 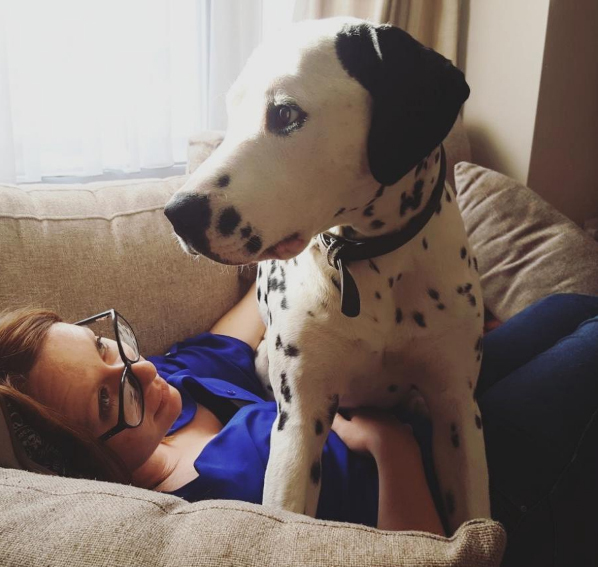 I have found many other uses for this, and it comes with a 3 year guarantee, which is what we like to see! There isn't a hundred different buttons to work out, or settings to...set. Just a knob and a blender button. Pretty simple. Overall I give it a good 8 out of 10. It loses a few point because it hurt when I punched myself with it, and also it's a pain to clean but earns it's strong 8 points from it's ease of use, good price and the fact that it's easy to clean. So let's get onto the recipe I made with it, shall we? Of course, you can make this recipe without a soup maker. Instead of putting the ingredients in a soup maker, pop them in a saucepan. Instead of blending, you will need to whisk. This is worth the effort though. Double promise. 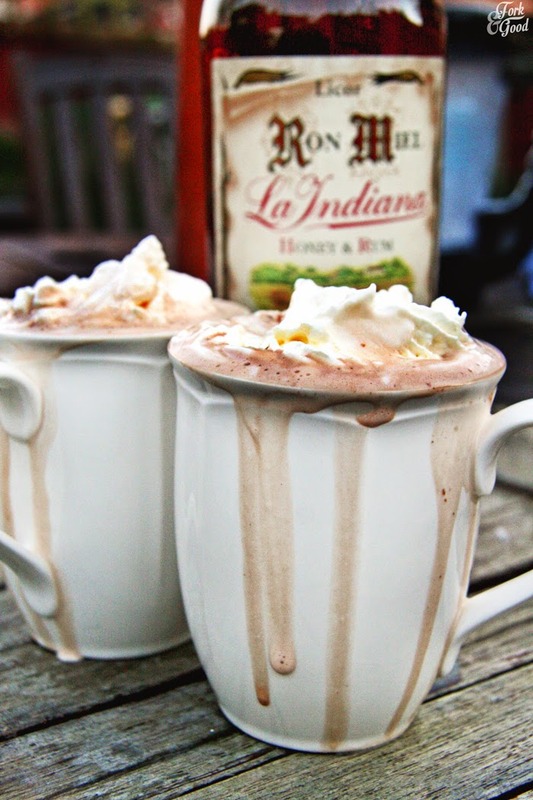 This recipe makes two mugs worth. Grate or finely chop up your chocolate. This make it easy to melt into the milk, which prevents you from over boiling your milk. Set up your soup maker, or place your saucepan onto a medium heat. Pour in your milk, vanilla extract and maple syrup/honey. Give it a mix and add in the chocolate. Give it a stir and add in the all spice. Let it cook for 10 minutes, stirring (or blending if you're using a soup maker) every couple of minutes. Finally add in the butter. 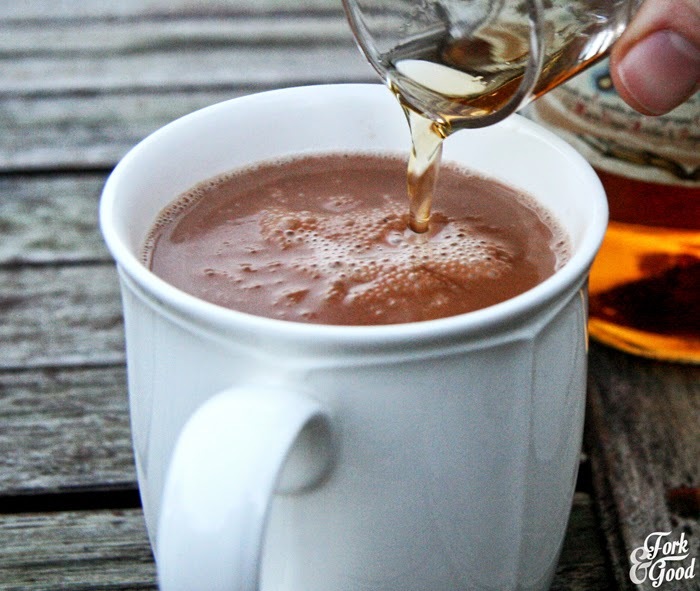 Finally, pour the lovely contents into mugs and add a shot of rum into each one. Top with whipped cream and enjoy! Add a sprinkle of nutmeg on top for a rustic flourish. 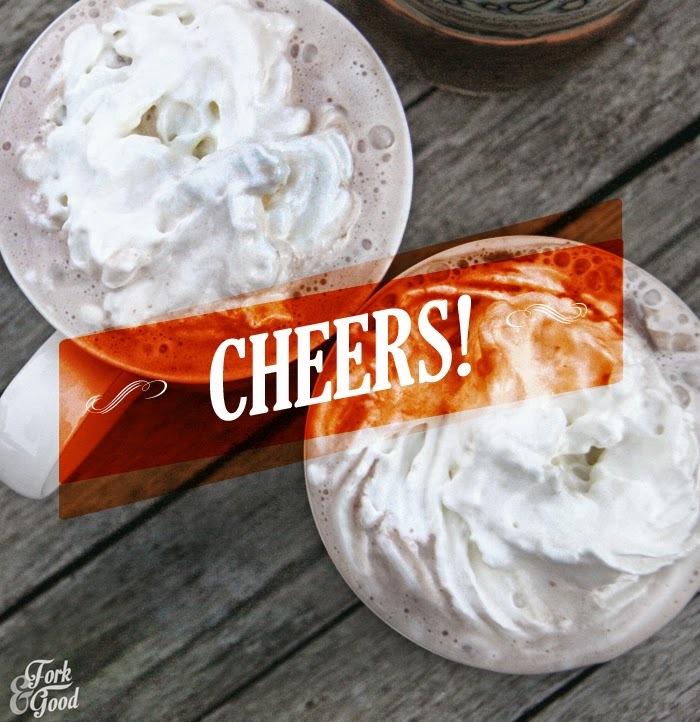 Enjoy your boozy buttery mug of joy. Especially if you used your dads rum to make them. What's your favourite flavour of hot chocolate? Do you make your own? Comment below! Oh wow! That looks epic! My favourite hot chocolate is coconut milk hot chocolate. YUM! Share a cup with me ? 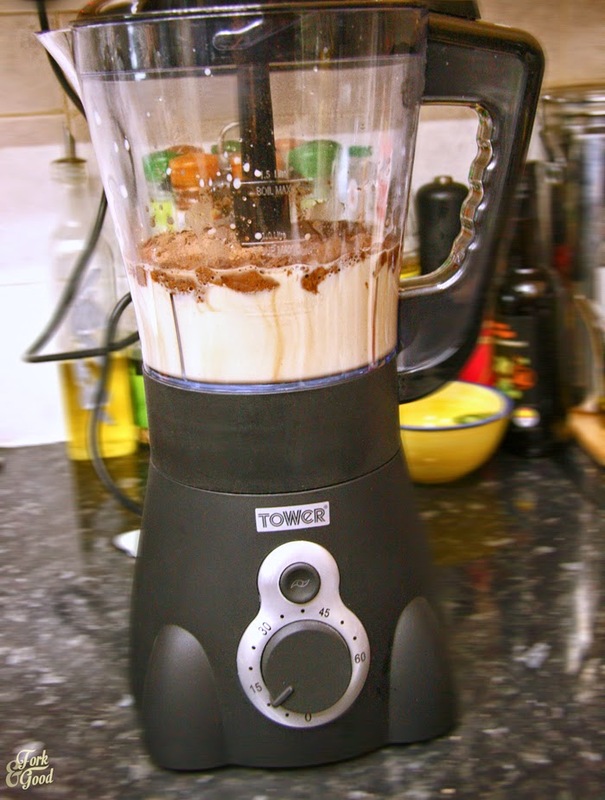 :-) I didn't know you need a blender when making hot chocolate....I only use a saucepan. your disclaimer has thoroughly entertained me. I'm surprised someone read it! Haha! Hurra for multi-functional appliances! 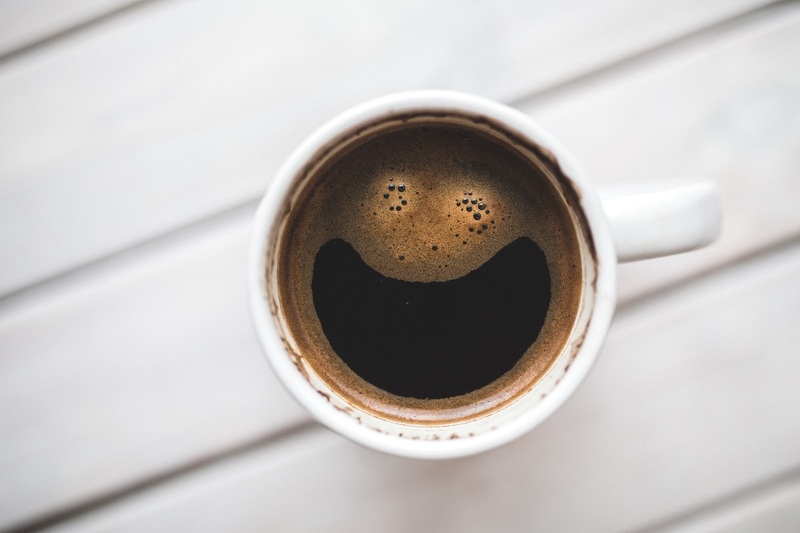 I make my hot chocolate with milk, cocoa (there's a nice brand that I get in Germany, but Green and Black's cocoa is very nice as well), sugar to taste and a generous pinch (or two) of cinnamon. Lots of whisking is involved, but for me personally, no whipped cream on top, just not a fan. This is the most thorough comment on hot chocolate that I've ever read and I love it. Thank you for testing boozing additions for us. Perfection! Have a great Christmas Tina! Oh bloody hell these sound good! I feel an addiction to them coming on! Haha, most British comment ever. LOVE IT. Thanks Kat! Oh yes please I'll take a mug or two. 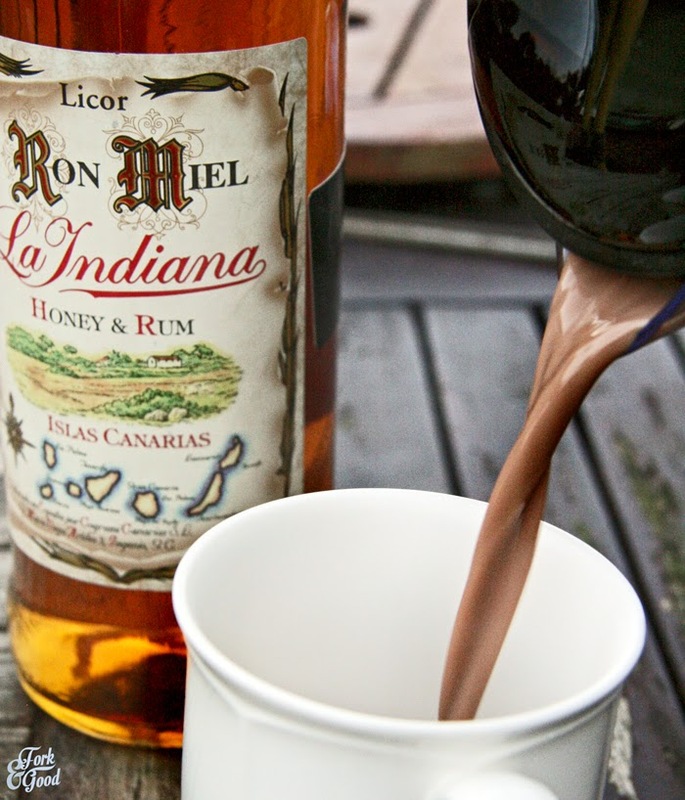 I love a good boozy hot chocolate, Cointreau is good, Baileys is nice, Whiskey goes pretty well but Rum is a nice choice. I usually make mine in a saucepan but if I am making a big batch I can't beat my slow cooker for it. Yes, YES and YESSSSS! This should be in my belly right now. Like every work day! It sounds like decadent deliciousness at it's finest. What a cool machine that is too, like wow! A soupmaker, so like it heats stuff and then purees it, super neat!! Hell yeah! I love that "Every work day" WEEKENDS NOT ALLOWED. Well Emma I cannot say how inspiring I find this post. I would like one now please! Butter in a hot chocolate.... hello there! Hehe, you're the only one I know who would make hot chocolates with a soup maker - a girl after my own heart! And they look utter amazeballs too. Merry [belated] Christmas and happy new year girlie. Can't wait to see what 2015 beholds if these hot chocolates are anything to go by. I tried this yesterday (much less fancy recipe...) with my birthday pressie Soup Maker, so I googled to find other people's experiences! Butter, rum and other flavourings are a good idea. Mine was nice, but so grown up it was barely fun (dark chocolate and cocoa - had to add sugar at last minute or would have been undrinkable!). Thanks for the recipe - will definitely come back to it.